Vintage pocket watch by Damas. 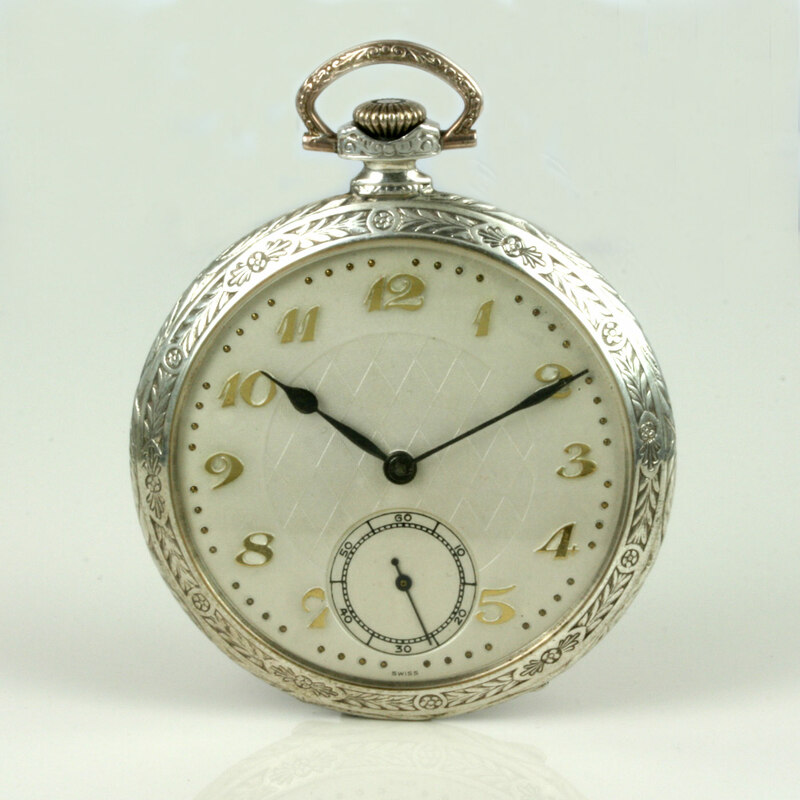 Product code: 1201 Categories: Sold Items, Sold Pocket watches. 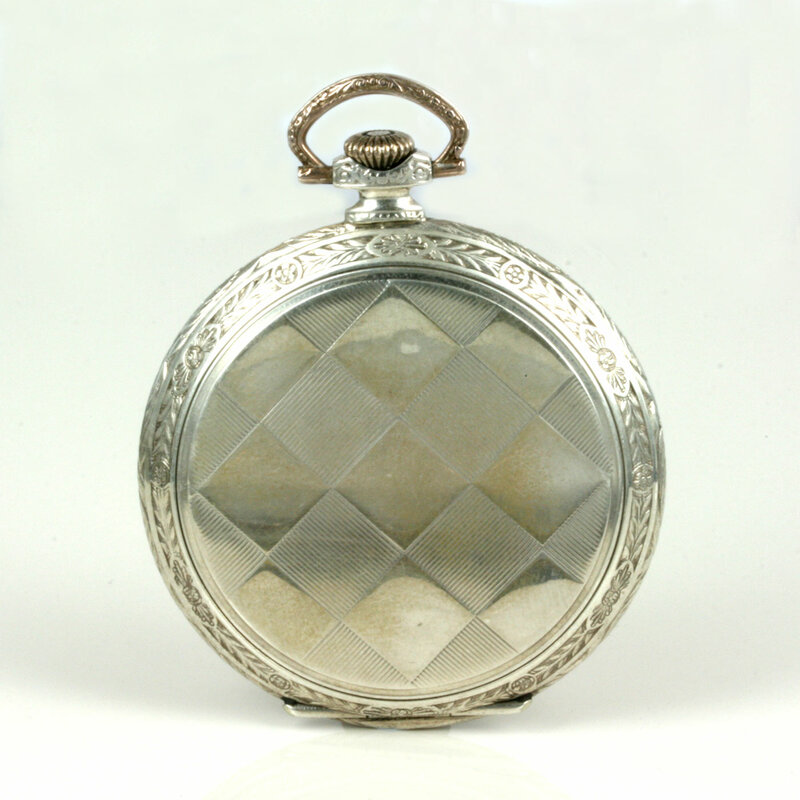 This is a very handsome gents pocket watch made in silver and dating from the 1920’s. Made in a .800 silver case that measures 48mm across, it has the most wonderful engraving and is so elegant and slim. The dial has Arabic numerals and a great looking chequerboard pattern that looks superb day or night. 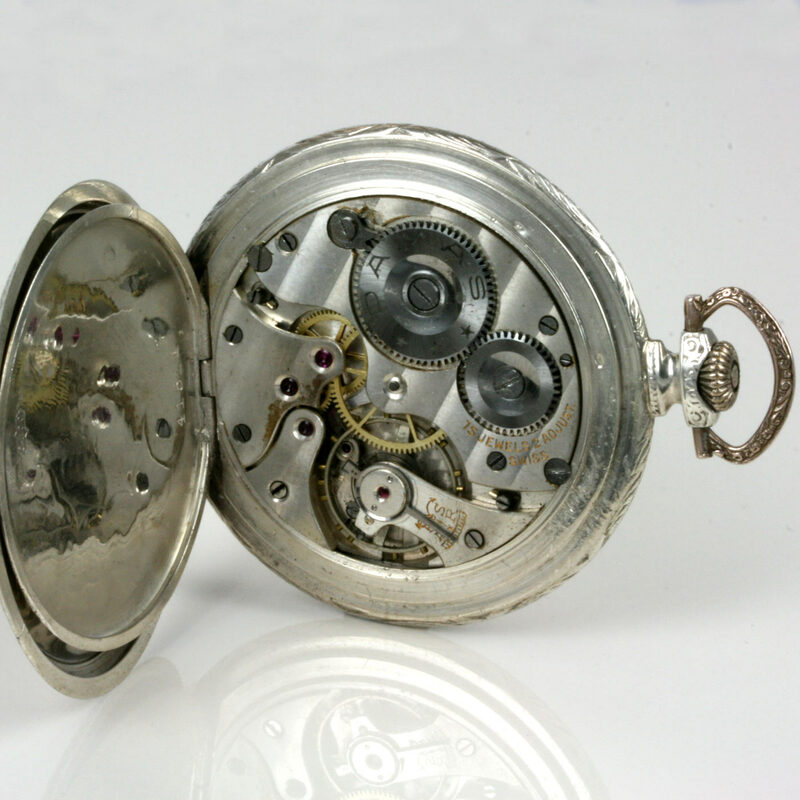 With a 15 jewelled Swiss movement adjusted for 2 positions, this would be a great gift for anyone who loves pocket watches.